1 passes to 2 on the wing, 5 dives down to the ball side block, 4 sets back screen for 1 who makes a basket cut (weak side to the ball). 4 steps and receives a pass from 2. 3 down screens for 1. 4 reverses the ball to 1, at the same time, 3 sets an across screen for 5. 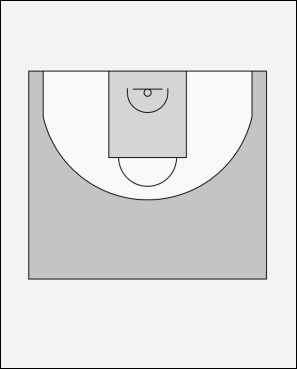 Once the screen has been set, 4 sets a dive down screen for 3 (screen the screener) to flash to the ball side elbow for a jump shot.